Note: Administrators will be able to add and remove resources such as mailboxes, make changes to Billing arrangements and make other changes to your account. 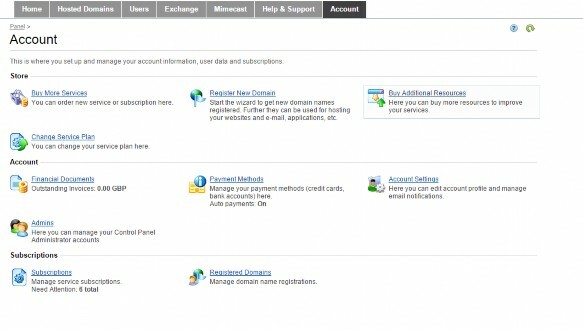 In addition, an Admin can request account changes such as new domains to be enabled or for user password's to be reset directly to Cobweb. Username (Not your Email Address) and Password. Go to Account > Admins. 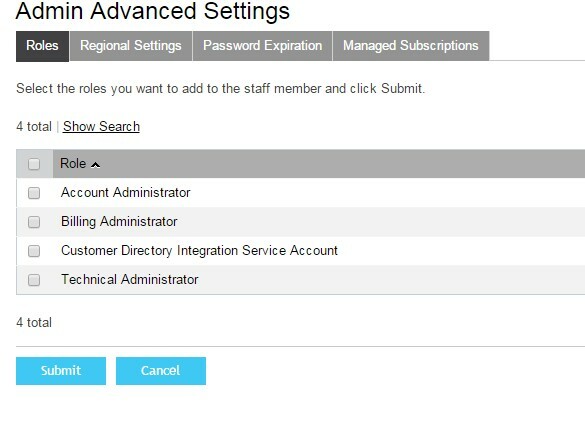 Select Add New Admin and enter login and contact details for the new administrator. Go to Next and select the role you wish to give the user. Go back into Account then Admins. Then select the admin you have created. 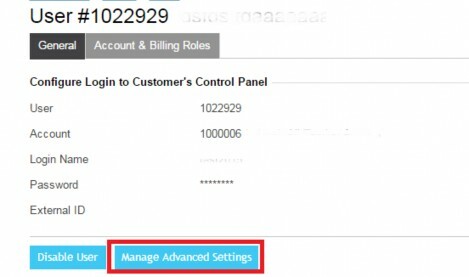 Click Manage Advanced Settings. 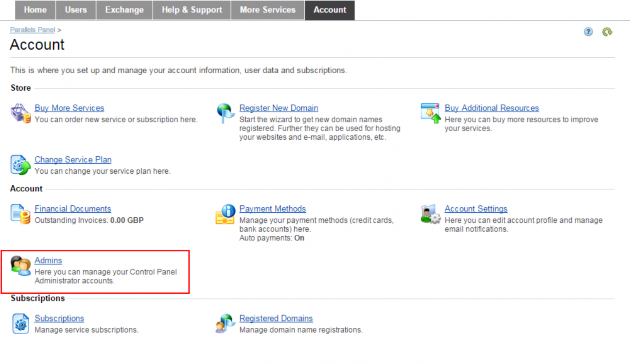 Select the administrator rights you want that user to have and then click submit. 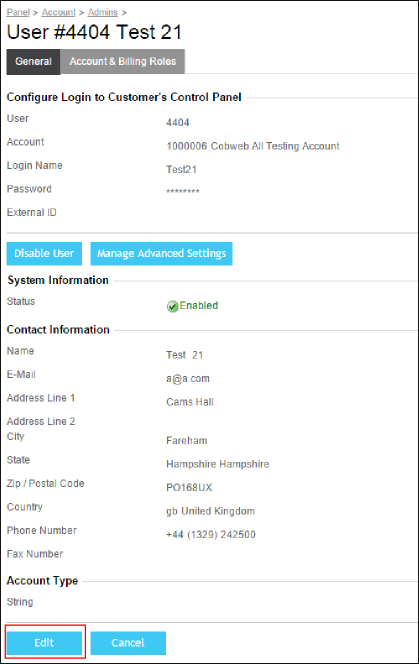 The Administrator has now been created and will be able to login to the control panel immediately. 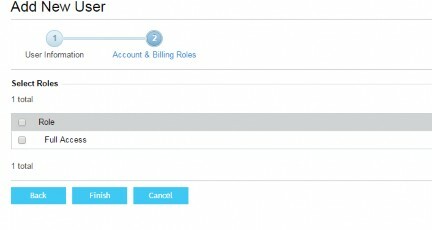 Select Change Password next to the administrator you wish to modify. Enter a new password for the administrator and select Submit. It's best to always keep admin details up to date. 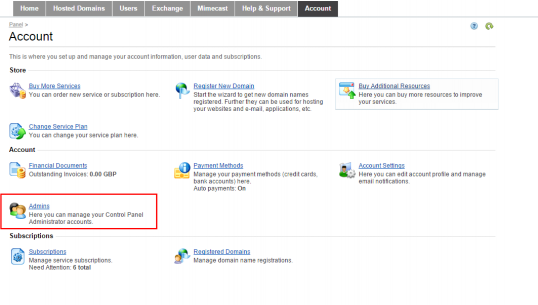 This can be done by logging into the control panel. Click on the display name of the administrator you wish to modify. You may want to disable an admin from accessing the control panel. 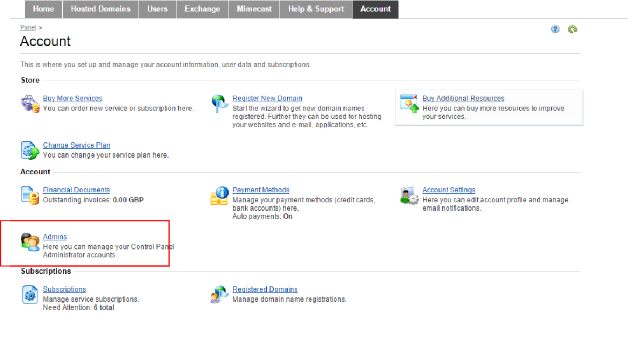 This can be done by disabling the admin's account. 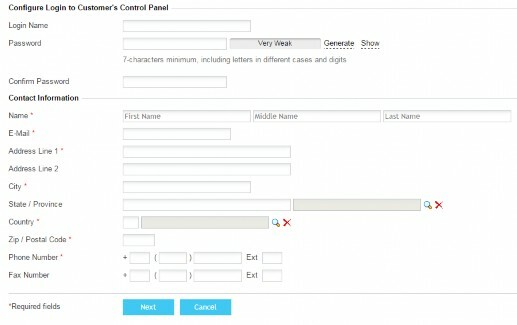 Select the name of the administrator you wish to modify.